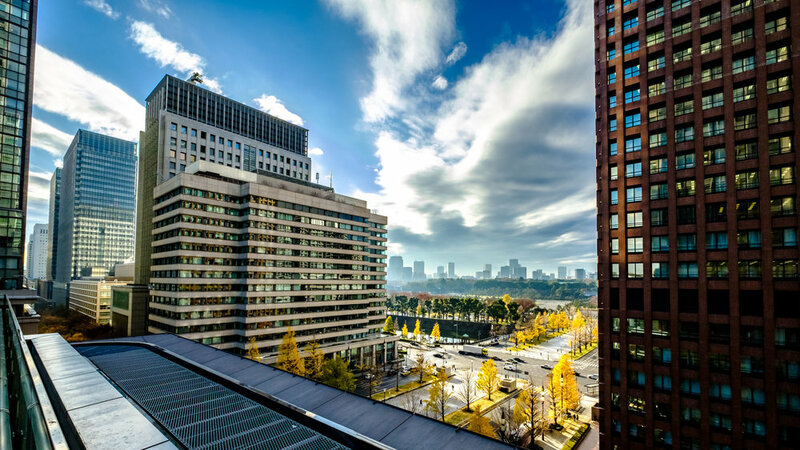 The Shin-Marunouchi Building’s balcony has exactly that, an imperial view. From one corner on the seventh floor, you can see right up to the Imperial Palace. In autumn it is very beautiful.